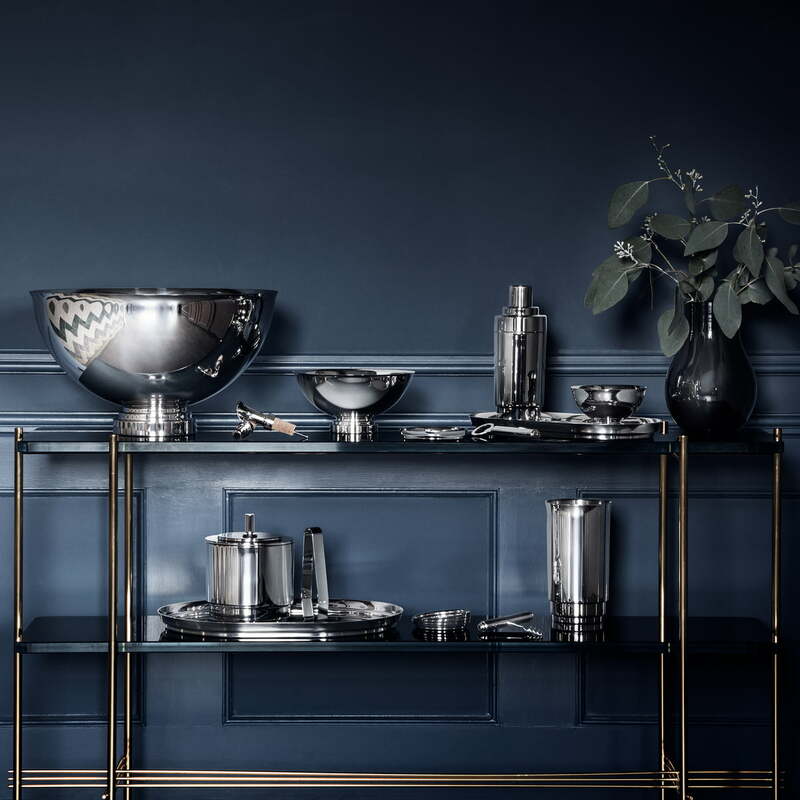 The wine cooler by Georg Jensen belongs to the Manhattan collection, which includes elegant accessories and utensils for the bar area. 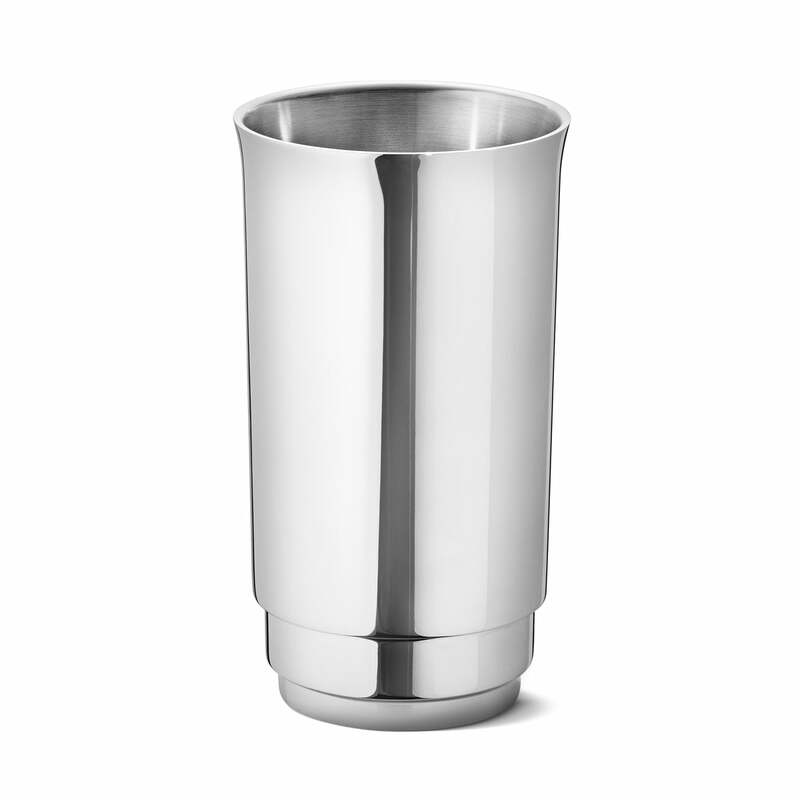 The wine cooler is made of mirror polished stainless steel and keeps the bottle of white wine cool for a long time. Thanks to its extravagant appearance, it becomes the eye-catcher in every living room and dining room. 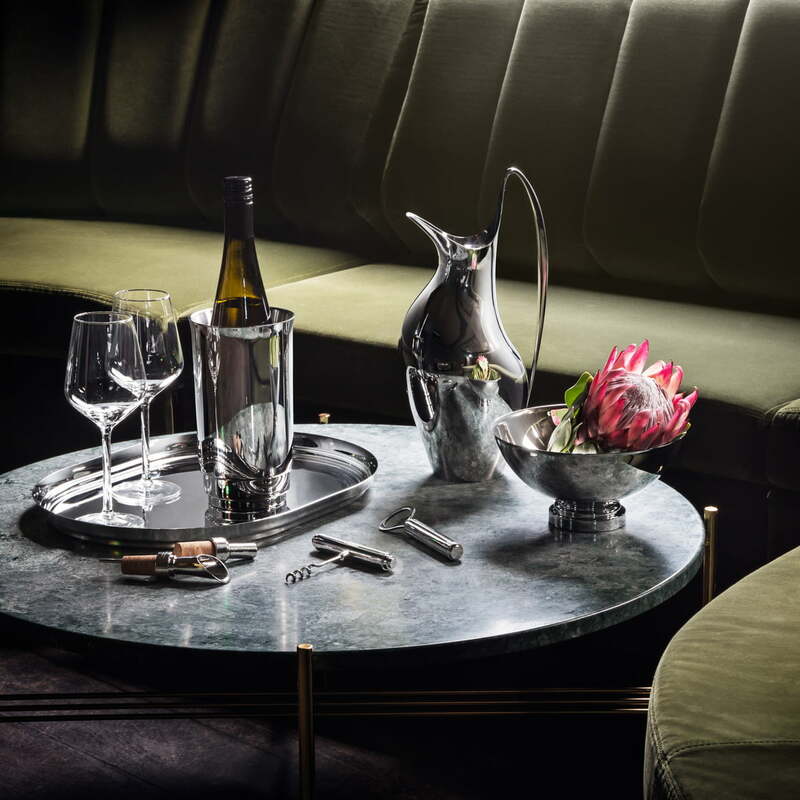 The wine cooler by Georg Jensen belongs to the Manhattan collection with utensils for the bar area. The wine cooler is made of mirror polished stainless steel and keeps the bottle of white wine cool for a long time.